The City of Shoreview is offering down payment and closing cost assistance loans to encourage first-time homebuyers to purchase a home in Shoreview. Current available dollars for loans are based upon the fund balance for any given period. Loan Amount: The maximum loan amount is $15,000, however, the amount borrowed cannot exceed 5% of the purchase price. Interest Rate & Loan Term: The interest rate is below market rate and will be a fixed with simple annual interest, with monthly installment payments of interest only. Payment of principal will be deferred until sale, transfer of title, when the primary mortgage is paid off, or when the property ceases to be owner occupied. Loan term shall not exceed 30 years. Loan Security: All loans will be secured by a mortgage in favor of the City of Shoreview. The loan may be secured in a subordinate lien position behind other loans in accordance with the City’s loan subordination policy. Applicant shall be required to provide evidence of insurance on the residence as required in the Mortgage, naming the City of Shoreview as an additional insured and loss payee thereunder, including a standard mortgagee loss payable clause. Applicant will be required to obtain title insurance on this loan for the City of Shoreview. Loan Costs: Filing fees, title policy, wire transfer fee, prepaid daily interest and credit report will be paid by the borrower (s). Eligible Use of Funds: The loan funds can be used for down payment and closing costs. The borrower cannot receive any portion of these funds as cash. Debt to Income Limit: Borrower’s gross monthly debt service cannot exceed 50% of gross monthly income. 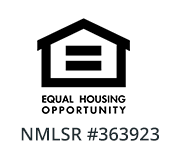 Application Process: The borrower’s first mortgage lender will provide application materials and will collect income and property documentation and submit to NWHP. Completed applications will be processed by the NeighborWorks Home Partners on a first-come, first-served basis, as funds are available until all program funds are committed. Please allow 30 days to closing from the time of submission of a full package. After loan approval you will be notified to come for a loan closing to sign a Promissory Note, Mortgage and subordination disclosure/agreement approved by the First Mortgage holder and the closing disclosure. Reservation of Funds: Loan funds will be reserved after receipt of the application, submittal of all documentation listed in the Application and loan approval. Funds will be wired in the approved amount and the Shoreview Loan documents will be sent to the loan closing or title insurance company prior to loan closing. The borrower must sign the deferred loan note and mortgage at the closing. The loan closing or title insurance company conducting the loan closing will be responsible for recording the Documentation of the recording must be sent to NeighborWorks. The borrower shall pay the filing fee. After the loan closing, the title company must provide NeighborWorks with the original signed Shoreview loan documents, including the Note and Closing Disclosure, the City of Shoreview Insured Title Insurance Policy and copy of the recorded first mortgage and the executed closing disclosure. Program Disclaimer: The City of Shoreview and the Shoreview EDA maintain the right to at any time to change or discontinue the Shoreview Home Improvement Loan Program. The potential changes may impact the maximum/minimum loan amount, loan term, interest rate, and/or qualifications for borrower, property and improvement eligibility.